"PORTLAND, OR -- The Pabst Brewing Company of Milwaukee announced that it was acquiring the Blitz-Weinhard Company..."
"PORTLAND, OR -- The country's [missing word] (very) small brewery will produce its first brew in June, according to brewmaster Charles Coury, of Oregon's new Cartwright Brewing Company...."
Both of these things probably made very little impression on people at the time, but they augured big things to come. Henry's would be shuttered 20 years later, after it was clear Oregon had become a "craft beer" state. And although Cartwright brewing vanished after a couple years, Coury's quixotic venture would inspire others to consider the possibility of brewing their own beer. I recall Rob Widmer telling me once that he and Kurt saw the brewery and later agreed, "we could do that." "The basic formula: 93% pale malt, 7% caramel malt, about 1 pound of hops per barrel (2/3 boiling--Cluster, 1/3 finishing--Cascade), typically a bottom yeast is used." That's an odd recipe (more in a moment), but it's nothing compared to the process. "The wort is boiled for 2 hours 15 minutes." 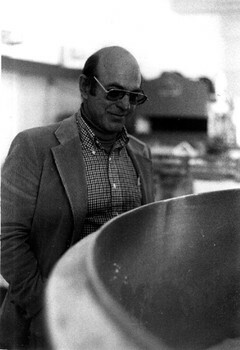 "It is cooled overnight by recirculating cold water in the kettle's steam jacket." "The cool wort is racked and pitched the following morning." The final beer was bottle-conditioned and spent a month carbonating. It's a funny, almost frontier beer. I wonder if Coury consulted Fritz Maytag, because the recipe looks quite a bit like Anchor Steam. There's no evidence he had any lagering equipment, so it seems like he was fermenting lager yeast warm, like Steam. The hops are different (Anchor uses Northern Brewer), but with the Cluster they would definitely have an old-time American authenticity. It took the poor man over nine hours to brew one batch of beer--and that doesn't include the time spent milling grain, which he called "a tedious and difficult task." And then there's the business of leaving it to cool overnight. One of the most common descriptions of people who tried this beer was "infected," and I have an idea that nice 8-hour cooling period before pitching didn't help. This formulation and process reads a lot more like a 19th century brewery than one from the 21st century. There's a sheet of paper among the documents from Fred Eckhardt, who was apparently taking notes on the beers Cartwright made. He describes two beers, "Original" and "New." The stats on Cartwright's original beer are these. It was brewed to just 11.2 P (1.045) and finished out at 3 P (1.012)--which would have made it a 4.4% beer--and had just 18 IBUs. The "new" beer was 12.3 P (1.049) and finished drier, 2.4 P (1.009)--a 5.4% beer. It had 40 IBUs (of rugged Clusters, no less), which even today would seem plenty bitey. I have no idea if the second beer was ever made. Coury thought his product was quite distinctive. 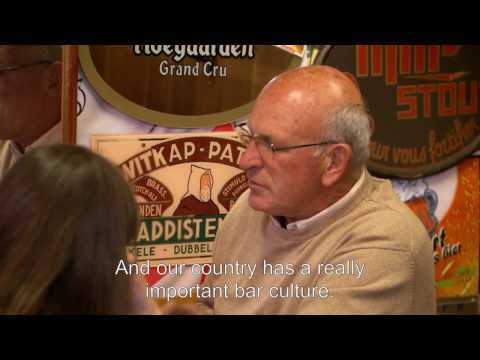 He compared it to "traditional/European quality" beer and thought the bottle conditioning could be spun as a positive--though he seems to have fretted it would seem strange to consumers. What's interesting is that the beer is so similar to commercial beer at the time--it's just a half step in a different direction. It's a 4.4% copper-colored steam beer with 18 IBUs. The color and fuller flavor would have been unusual, but hardly unrecognizable, to consumers in 1980. 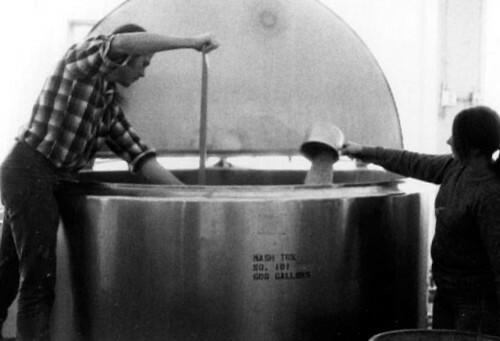 The Archive includes a contemporaneous article from the Eugene Register-Guard that offers a bit more insight into the beer. 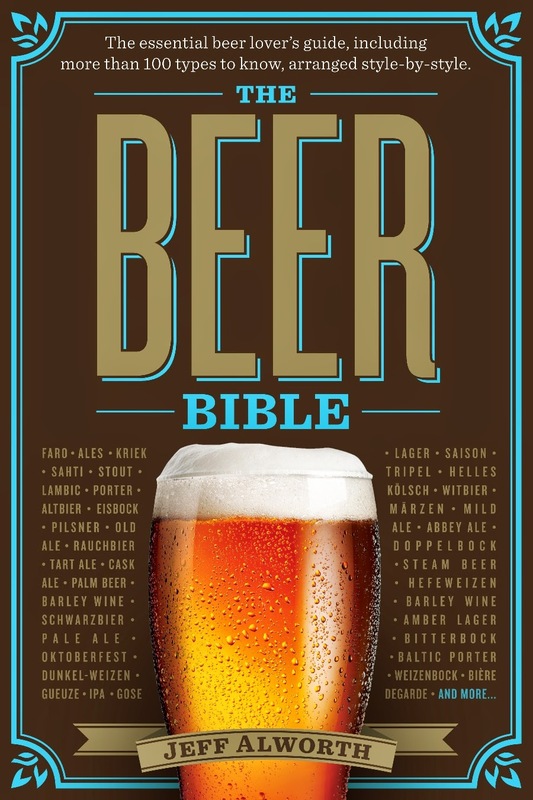 "[Coury] says he found century-old beer beer-making recipes in 'beautiful, old brewing textbooks' in the stacks of the Multnomah County Library in Portland." Coury also gives a specific nod to Anchor Steam. 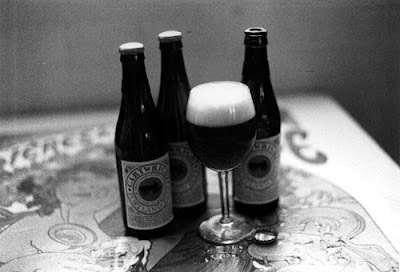 It seems history, tradition, and a desire not to get too far outside the mainstream guided the development of the beer. Two other random facts going out. Cartwright was selling the beer for $.90-$.95 a bottle, which is $2.59 to $2.73 in today's dollars--a fairly steep price. And according to the newspaper article, he was also planning on brewing a stout. Wonder if he ever made it that far? My cousin recently tried to brew his own beer and is enjoying the process very much. This is a very interesting bit of history to share with him.